The Dodo is an extinction celebrity. Children recognize it as a character in Alice’s Adventures in Wonderland, one written as a stand-in for the author. 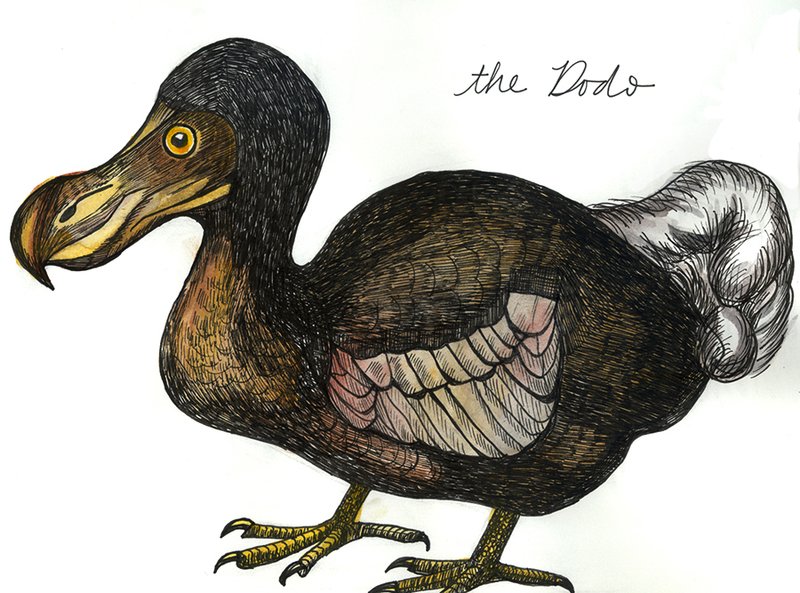 Dodos have found their way into children’s stories and poems, into popular magazines and newspaper articles. Images of dodos serve as a logo for many businesses. Collectors assemble menageries of toys, ceramic ornaments, pictures, cartoons, books, memorabilia of all sorts featuring the dodo. Northern Ireland even features a famous ornamental garden devoted to the dodo. 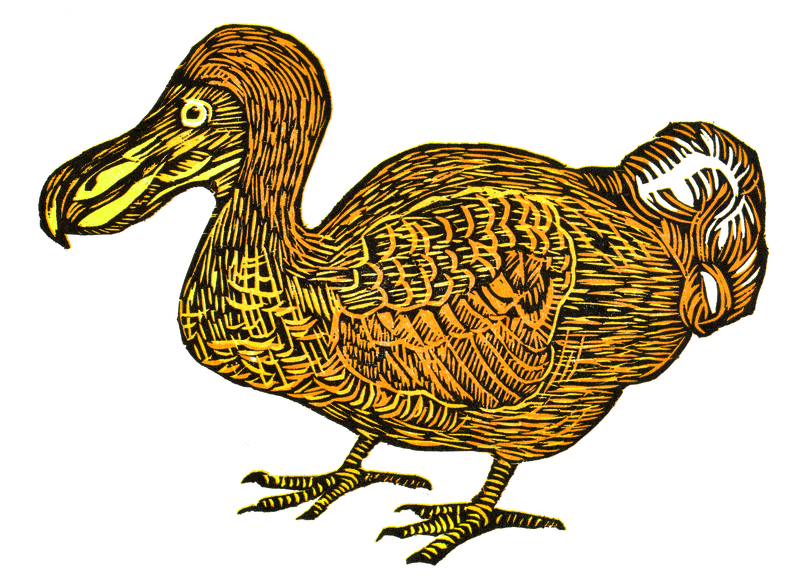 The dodo is an icon of extinction, an immediate, easily understandable visual reference that simultaneously encompasses something long gone and something fantastical. The bird itself we know very little about. Most records of direct observations of the bird while it was alive were only recorded in old Dutch, in very rare volumes, inaccessible and hard to understand. It disappeared from Mauritius, a remote island many have never heard of, by the end of the seventeenth century. Some scattered fragments and bits of skeletal remains exist, but the only known stuffed specimen is long gone. 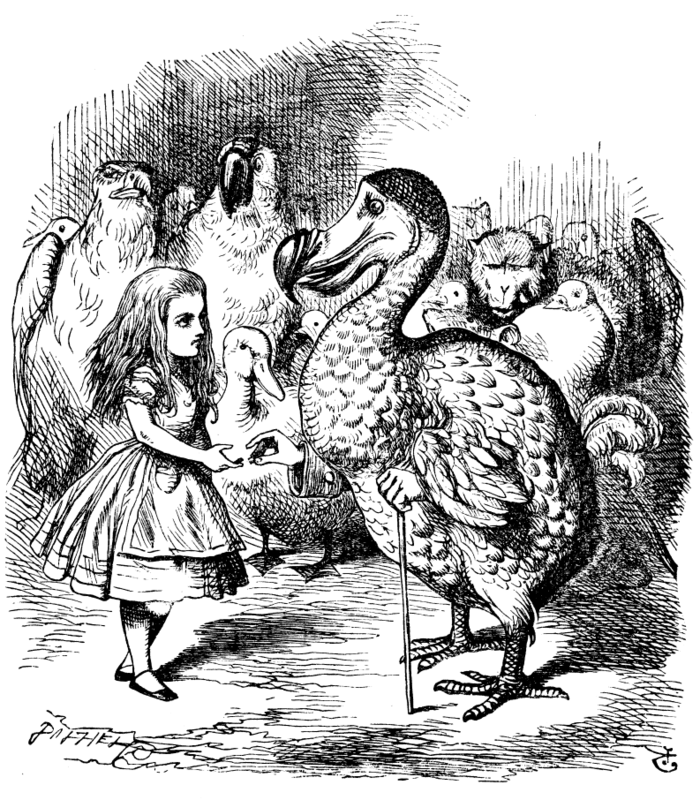 Most books on the dodo are full of fantasy and myth making, at worst, or educated guesses, at best. We know that Mauritius was uninhabited when the Dutch arrived in 1598. We know that Arabs and Portuguese has stopped there before. We know that the Dutch brought with them monkeys, cats, and rats, which bred and ran riot on the unfamiliar island. Sailors tried eating the hefty birds; many found them disgusting. We know it was a gigantic, flightless pigeon with a bulbous beak. Maybe it liked fruit, maybe it foraged for shellfish on the shoreline. 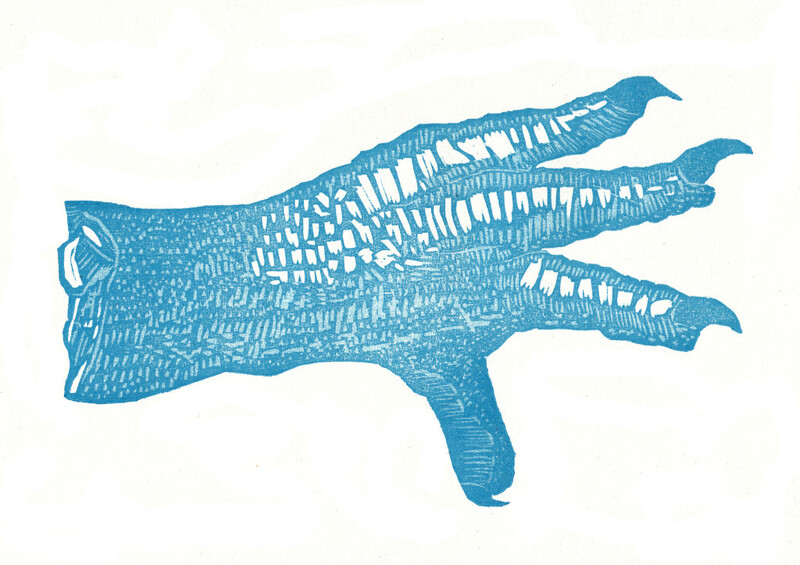 We know that after only 40 years of contact with humans, dodos were almost gone. We don’t know how long after that it lasted, or what exactly did it in. There are stuffed dodos in museums, but these are fakes, made up of bits of feathers from other birds. We can make guesses from skeletal fragments, sailors stories, old illustrations, DNA samples. But we’ll never really know who this bird was. That seems to be the source of its celebrity.